Presidents` Day is an American national holiday, which is celebrated on the third Monday of February. This holiday is also known as the birthday of the first US President, George Washington. However, later, this holiday became the celebration honoring all US Presidents. This day was proclaimed a federal holiday in 1879. The first attempt to celebrate this holiday on the third Monday of February took place in 1968, but it failed. However, later, in February 1971 it was accepted. This holiday has different names in different states, but the purpose is the same – to praise the fame of all US Presidents, as people who changed the world`s history. George Washington`s Birthday/Presidents` Day is considered a federal holiday in the United States. Although the official date of Washington`s birthday is 22 February, the holiday is celebrated on the third Monday of February. George Washington`s birthday was celebrated in the US even while he was still alive. This date was accompanied with various festivals and parties. Washington was born in 1732 and met his death in 1799. George Washington was one of a few US presidents who ruled the country for two terms. His unique style of leadership and personal skills made people believe him and support his candidacy. Before becoming the US President, Washington built a brilliant military career. Thus, under his leadership, the US Continental Army defeated the British Army in 1783. Many of contemporary Americans consider this politician as the most influential one in the US history. President Rutherford B. Hayes wanted to recognize the incredible achievements of George Washington and suggested to make his birthday a federal holiday. The birthday of Abraham Lincoln, the President who ended the institute of slavery, falls closely to Washington`s one, but it is not celebrated as the national holiday. The capital of the United States, Washington DC, is called after the name of this great President. Cherries are the most popular product for making desserts on this day. This fact is closely connected with the life of George Washington when he claimed that he would never cut down a cherry tree. Surprisingly enough, but this day has become the date when retailers make major sales making huge discounts on the old stock. In schools, teachers organize lessons in honor of the great politician explaining to their students what events led to the holiday. Some people spell the name of the holiday as President`s Day, and some prefer to say Presidents` Day. The spelling demonstrates the individual`s position towards the holiday. Some people believe that not only Washington did his best to improve the country`s well-being, so they want to praise other Presidents as well. 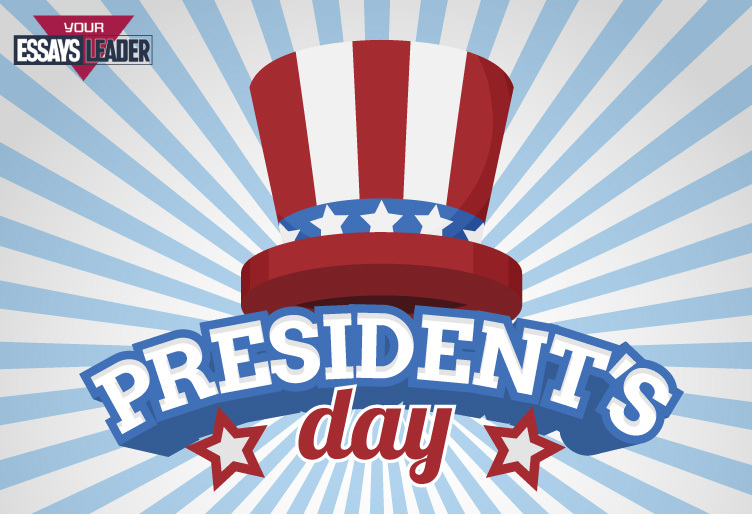 Although Presidents` Day is a national holiday, it is celebrated in different ways in different states.